St Martin is a busy fun island where the cruising sailor can get almost anything you need for the boat! Major marine suppliers Budget Marine and Island Waterworld have their headquarters here. 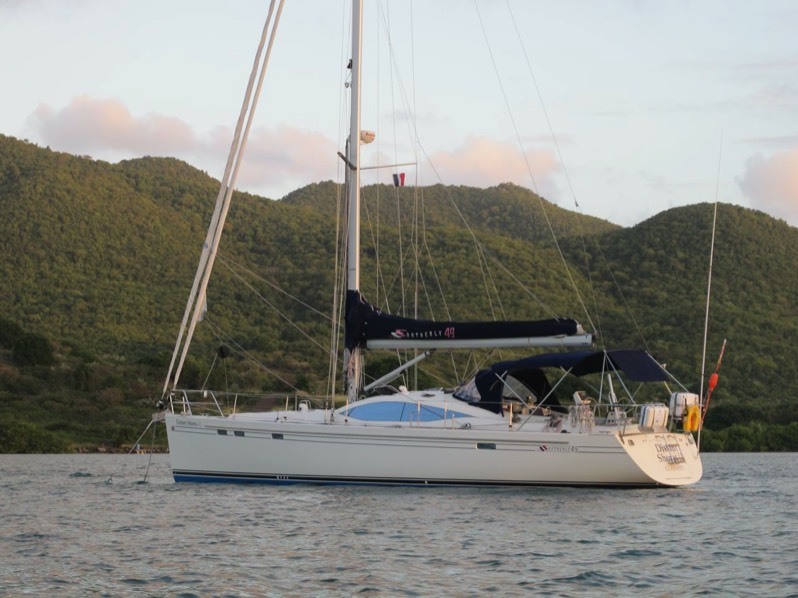 There are excellent sailmakers, stainless fabricators, electrical suppliers and MUCH more. Also great shopping with European items as well as North American stuff. This is the big inner lagoon which is an amazingly protected harbour. 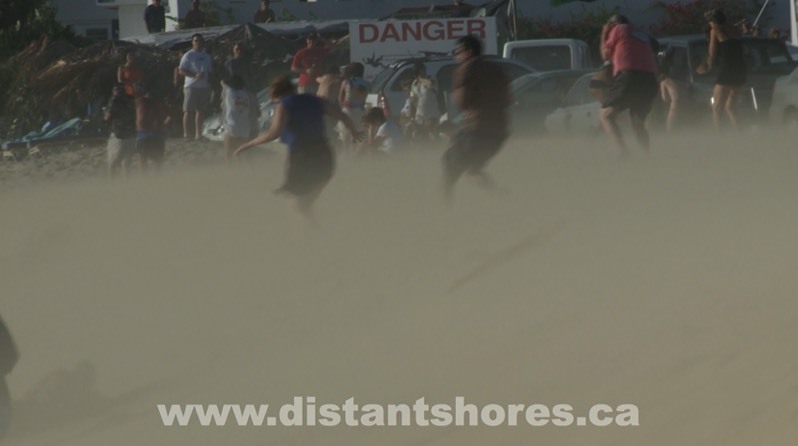 We filmed St Martin in our Season 6 of Distant Shores which also includes Antigua (at Christmas! 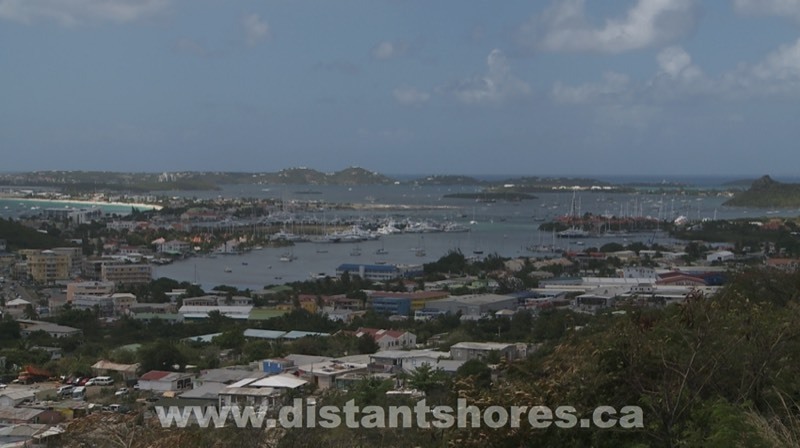 ), lovely Barbuda, Monserrat, St Barts, Guadeloupe and the Saintes. 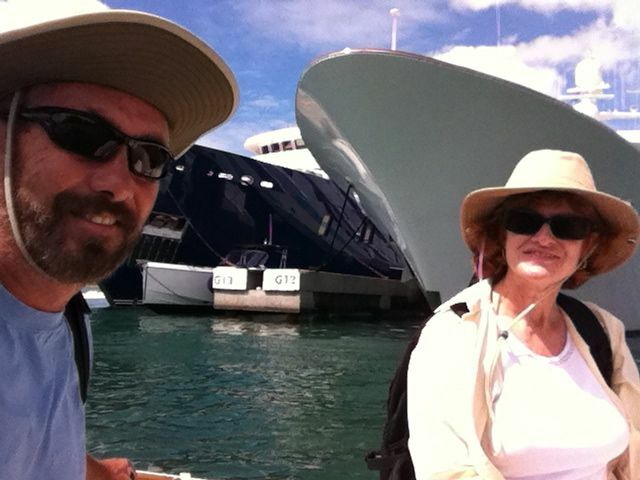 Anchored in the Lagoon (here on the French Side) we head over to the Dutch side to visit the huge marine chandleries! Many mega-yachts base out of the protected lagoon. We hauled out to do the bottom See BoatBlog Here. Excellent boatyards here of course. See also our newsletter on the haulout. Big airport with easy connections - the approach is across the beach and its an amazing sight to watch the planes come in so close! Big sport here is to stand in behind the jets as they are taking off - instant hurricane!! We filmed it for the show of course! 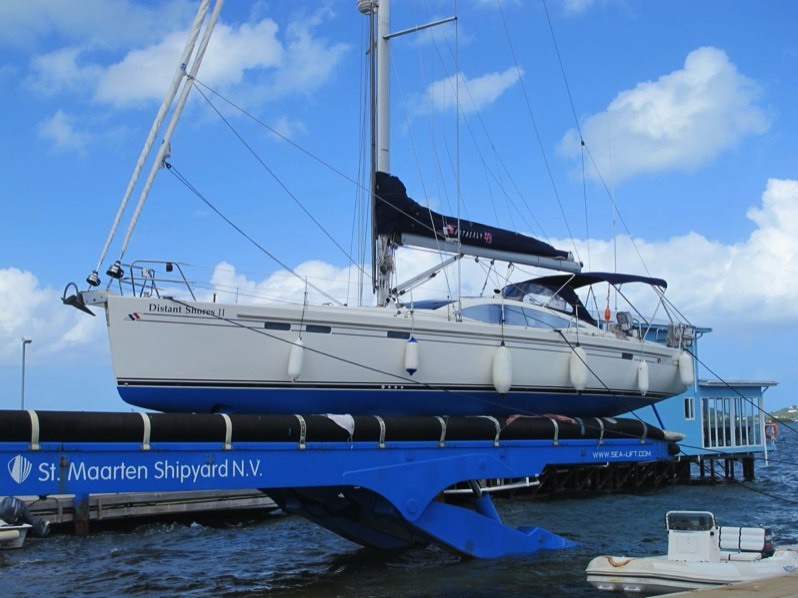 St Martin often ends up being our base in the Caribbean since it is so convenient and well set up for yachtsmen. Its also quite a nice friendly island. 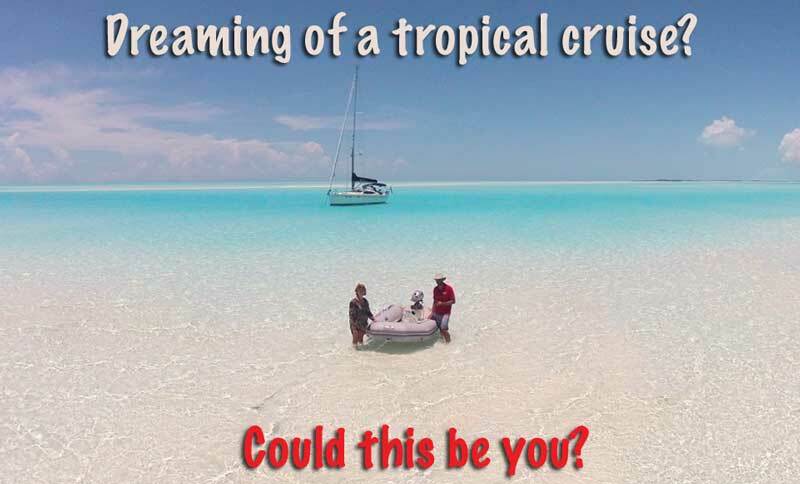 This is a complete 30 minute video on sailing the Exumas. You can sign up for our newsletter and check it out. Click below.